Growing up in northwest New Jersey, pizzerias were as ubiquitous as churches. Every town it seemed, no matter how small, had at least one and they were pretty much all fantastic. But it wasn't just the pizza... no, calzones and stromboli were always an option. 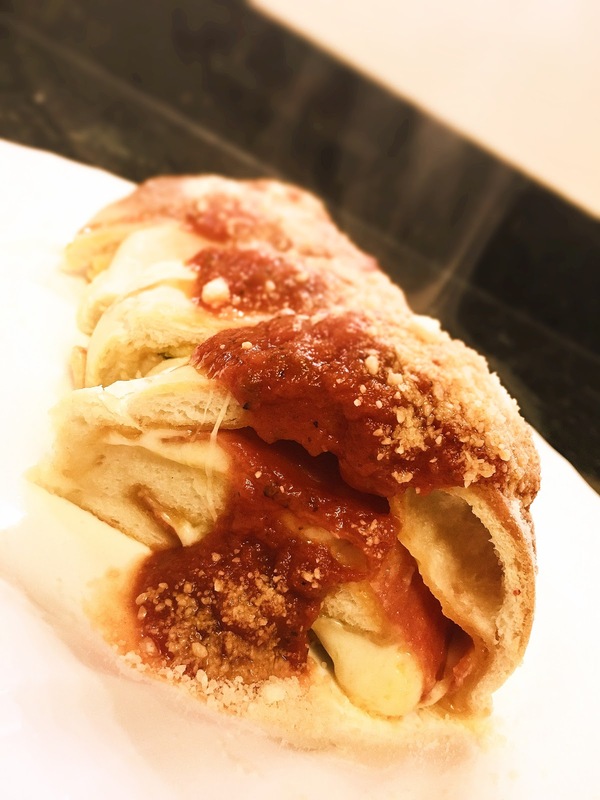 Now you may have never heard of stromboli before, but it's essentially a rolled pizza. 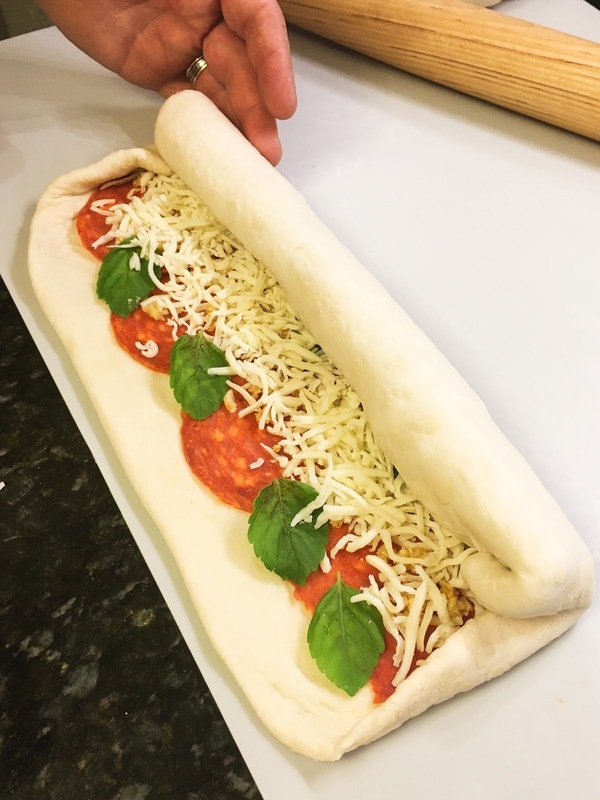 You roll out your dough, put in your toppings, roll and seal it up and bake it until it's done. 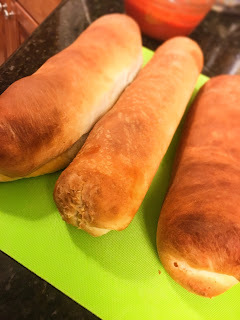 We're using the dough from the "easiest home baked bread dough" recipe, so you likely have some in your fridge already! If not, you can pick up a dough ball from many grocery stores or pizza places or whip some up, it only takes 15 minutes or so. This stromboli recipe is easy, delicious and you can fill it with just about anything you'd put on top of a pizza. We made ours with Garlic, Basil, and Pepperoni. Let's get started! If everyone wants to make their own stromboli, and stuff it with the fillings of their choice, weigh out 6 oz. dough balls and form into rounds. A 12 oz. dough ball will feed two. You may need to dust with flour so that the dough remains soft, but not sticky. Let them rest at room temperature and rise for 30 minutes. Preheat the oven to 500° or hotter if your stove is amazing, ours is only semi-amazing. Set the racks on the middle and lower levels. 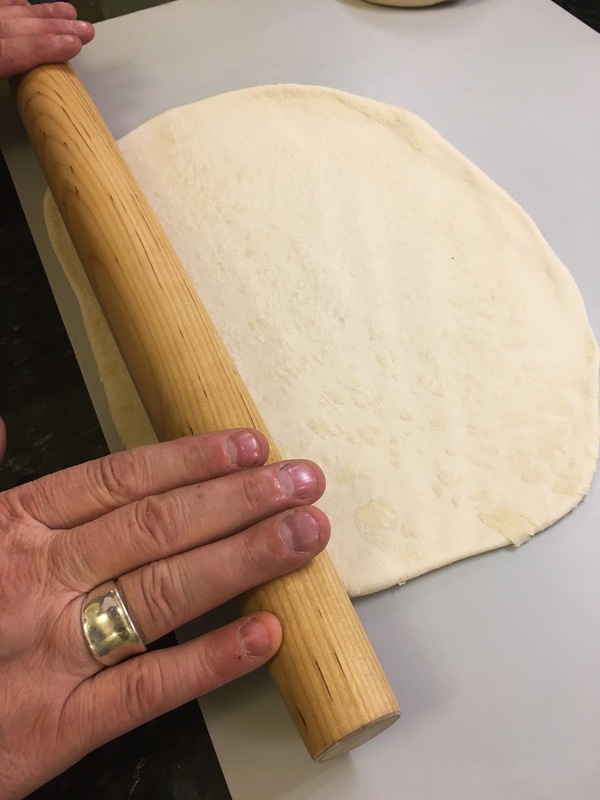 Most of a pizza oven's heat is coming from below, and if the racks are set too high, you'll over bake the outer crust before the inside bakes through. While the dough is resting and rising, finely chop or mince the garlic. Sauté the garlic in a couple teaspoons of olive oil to give a caramelized flavor and take the bite off. Remove from heat and allow to cool. Layer ingredients, leaving a quarter to half inch around the edges to seal. Starting at the long edge begin to roll down until about halfway then fold in your sides, finish rolling and pinch the seams closed. Place seam side down on a sheet of parchment paper on a baking sheet. Bake for approximately 30-40 minutes until golden brown and the internal temperature is 180 degrees Fahrenheit. Is that a baguette? No, it's stromboli, filled with a delicious surprise. Slice, cover in marinara, and enjoy!